As we ring in the new year, we tend to become more ambitious about setting certain goals whether it be related to fitness, nutrition, stress, work, family life, gratitude, overall health, etc. There are so many things each one of us could try to achieve this year, but how do we stay realistic with our goals and focus on the most important ones? 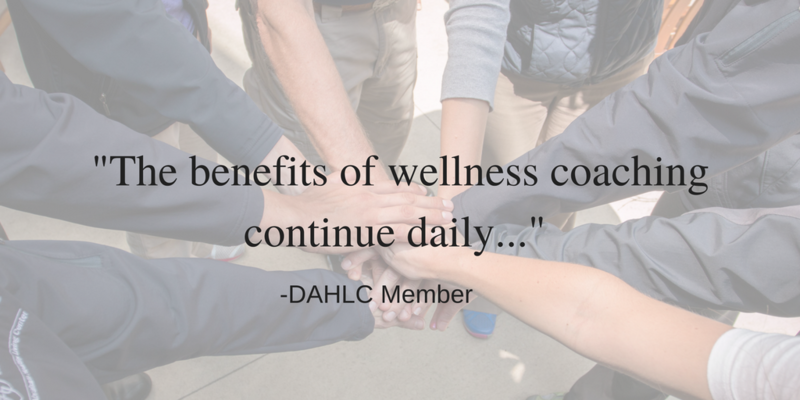 Here at the DAHLC, we provide wellness consultations where you can learn how to make realistic goals and tangibly work to achieve them using positive and effective approaches. Our Health & Wellness Coaches are here to guide you and help you with this journey. Check out a mock up of frequently used questions that you would typically answer or reflect upon in a wellness consultation. What are 3 things you value most in your life right now? What are the 2 biggest challenges you are facing at this point? How do you see yourself one year from now/ 5 years from now? Where do you want to see yourself? What would be one or 2 things you think you could start doing this week to help get you on track to becoming that future self mentioned in the previous question? What is a potential barrier? Who is around you that can support you in these goals/efforts? If you miss a day of eating well or exercising or whatever your goal is, how will you stay positive and resolute? Accountability partner? Journaling? Resolve to do it next day? Show yourself grace? Remember: it’s a marathon, not a sprint. This journey is about perseverance for the long term, and it’s your personal journey that you get to modify and change as needed. You are worth it. If you are interested in discussing some of these questions or others that may be more related to your goals, contact the front desk to schedule your free wellness consultation, and get started on a path you will be so thankful for in the end.